Every time I show this image of a pink and yellow dahlia people's faces light up! Joie de Vivre Dahlia mirrors back to us pure joy and untempered delight in life. This vibrant dahlia has a bright and cheerful quality, excellent for beautiful interior home decorating. It would fit well in modern decor as well as vintage French farmhouse shabby chic settings. Large scale canvas, fine art watercolor prints, and shimmering metallic art can be purchased for private homes, offices, healing centers, spas, boutique hotels, bed and breakfasts, farm to table restaurants, birthing centers, boutique hotels, yoga retreat spaces, and more. 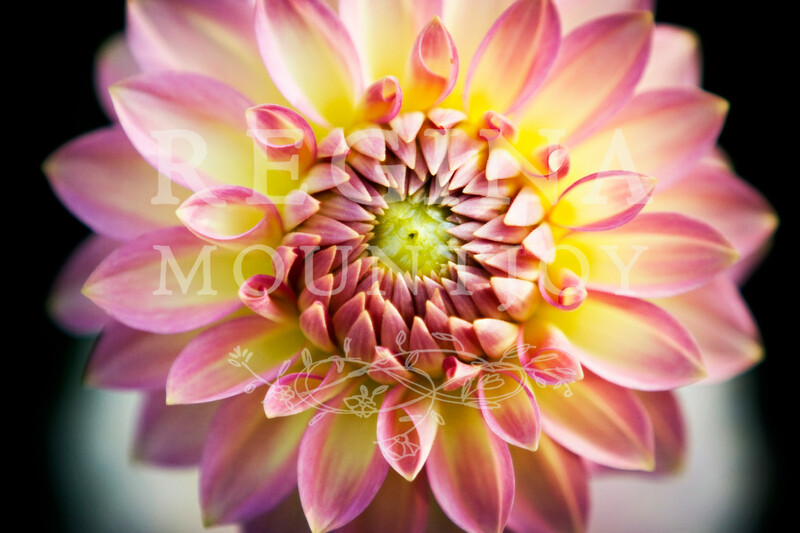 very time I show this image of a pink and yellow dahlia to someone their face lights up! Joie de Vivre Dahlia mirrors back to us pure joy and untempered delight in life.